Thom is one of the Coveryard's resident vocalists and arrangers. Ric is a composer, songwriter and lead member of Jarbird. Kate's vocals are the Coveryard's secret weapon. Matt is a musician, composer and one half of electronic duo Strange Boy. 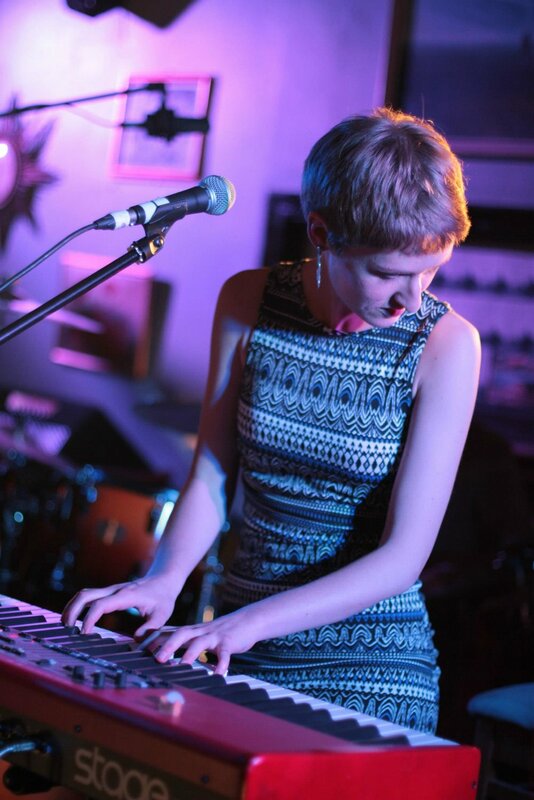 Josephine is a composer, singer and multi-instrumentalist. Sarah is founder and artistic director of the Coveryard. She is usually to be found at the keyboard, and has co-produced all of the Coveryard's events, as well as directing the ensemble. She works as a conductor across the UK and with vocal ensemble Echo. Gene is our trusty bassist. Rob first joined us onstage playing with Sam Brookes and we've since kept hold of him. He plays drums with other artists including Willy Mason, Rachael Dadd, Emily Barker and his own band Low Chimes. Peter is a composer and multi-instrumentalist, equally at home behind the trumpet, the keyboard and the mic. He has been a Coveryard collaborator since the very beginning.